Dr. Toy says nothing is more serious than fooling around. "Well, go out and play." That's what children did in those days, when they weren't at school or doing homework or watching TV. But not even children have time to play these days. When today's over-scheduled kids aren't rushing from music lessons to soccer practice, they're rooted in front of a computer, game console, or TV screen. In fact, some kids don't seem to know any other way to play. Dr. Toy wants to change that. 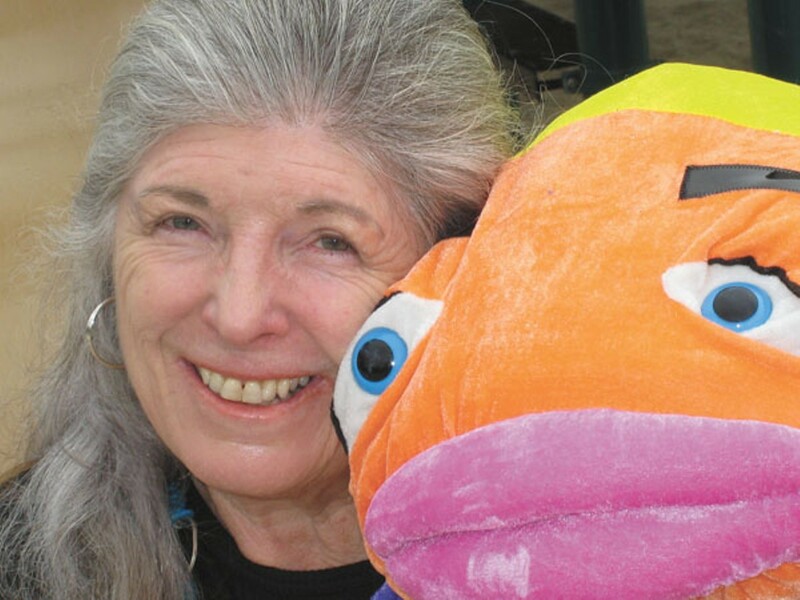 The Berkeley resident, formally known as Stevanne Auerbach, is one of the world's top experts on play, toys, and children's products, thanks to fifteen books and hundreds of interviews on the topic. "Parents need to be serious about child's play," she said. "Respect it, recognize that when children are playing, they're learning." Auerbach defines play as "spontaneous activity that is fun, sometimes requires concentration or thinking, sometimes physical activity, sometimes creative activity sometimes." Good play is multidimensional, and one of its most important elements is relaxation and change from the routine of school or work. Babies begin to play almost immediately, according to Auerbach, and as they develop their play evolves, helping them to try on different roles, develop physical and cognitive skills, learn how to figure things out, and understand the world. The ability to play needs to be nurtured as much as the ability to think, according to Auerbach. She coined the term PQ, or "play quotient," to emphasize how important it is. "Play needs to be nurtured like everything else," she said. "And it doesn't happen automatically." While Auerbach recommends board games, puzzles, and traditional toys, she isn't anti-technology. She thinks that good educational software can help children get ready for school or learn to read, and she was an early enthusiast about Leapfrog, the Emeryville company that makes technology-based educational products. But enough is enough, she says. "If you're not also reading to your children and using a puppet, or having fun with them, then it's not Leapfrog that's going to solve all the problems," she said. "We can't overlook the importance of the simplicity of play. The simple pleasure of a family getting together around a board game is something I don't want to see disappear." In fact, she thinks, too much screen time may be causing deficits in children's brain development. "I think children are going to be deprived of the emotional, physical, and social benefits of play when they are isolated by playing with their electronic games," she said. Auerbach started her career as a teaching and reading specialist. In the early 1970s, she worked in the early childhood division of Far West Laboratories, one of twenty regional organizations created by Congress to bring education research into schools. As she visited childcare centers for a study, she realized just how important play is for children. She was shocked at the paucity of playthings at some centers. "Some programs were well-equipped, and some had hardly anything. I began to see how that affected children," she said. Auerbach went on to help establish the first childcare center for federal employees. Then, in 1986, she founded the San Francisco International Toy Museum, and served as its director until 1990, when the dearth of tourists after the Loma Prieta earthquake forced it to shut down. Recently, she's been working to bring a children's museum to Oakland, but the committee hasn't found a location or funding. Auerbach thinks it's a shame that there are more than two hundred children's museums in the country, but none in the East Bay. She dreams of a venue like the Bay Area Discovery Museum in Sausalito, which is less about looking at exhibits and more about hands-on science and art projects, cultural festivals and performances. Since the demise of the toy museum, Auerbach has worked as a consultant while authoring a series of books including the latest, Dr. Toy's Smart Play/Smart Toys: How to Raise a Child With a High PQ. Four times a year, she publishes lists of the best toys on her web site, DrToy.com, as well as lists of the best toys of the year and the ten best toys in various categories. The site also has a searchable database that includes toys from around the world. Nevertheless, she declined to name a hot toy for the coming holiday season. "I avoid hot because hot gets cold really fast," Auerbach said. "Instead, think about your children. What are their needs, their interests, and what are they ready for? Then, find on our site something they don't already have to play with but is appropriate for them. It's not about hot." And don't forget play for grown-ups. Auerbach admires Google because its founders include toys and games in the Googleplex. And the typical geek's desk is loaded with toys and gadgets. "There's a lot of pressure in high tech, but many people who work in it are stimulated by toys, have toys and products on their desks, and may break up into teams to play and build connections between people," she pointed out. She'd like to see people play chess and board games in the office. Dr. Toy's motto is "Let's play!" Auerbach said, "Everyone should take time out to be playful every day." Sculptor's work confronts the quest for beauty in the struggle for survival. Entrepreneur's latest startup aims to address why minority women don't vote. Newark factory produces invisible device that could produce more natural hearing for people who attended too many rock concerts.